Holly Johnston and Jonathan Coy, have joined forces as Boathouse Keepers. Holly's pure vocals and strong lyrics teamed with Jon's dramatic and rhythmic guitar arrangements makes for a listening treat. 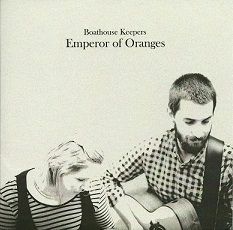 The Album: Emperor of Oranges is available in the Backwater shop. Here's one of the reviews from Americana UK.